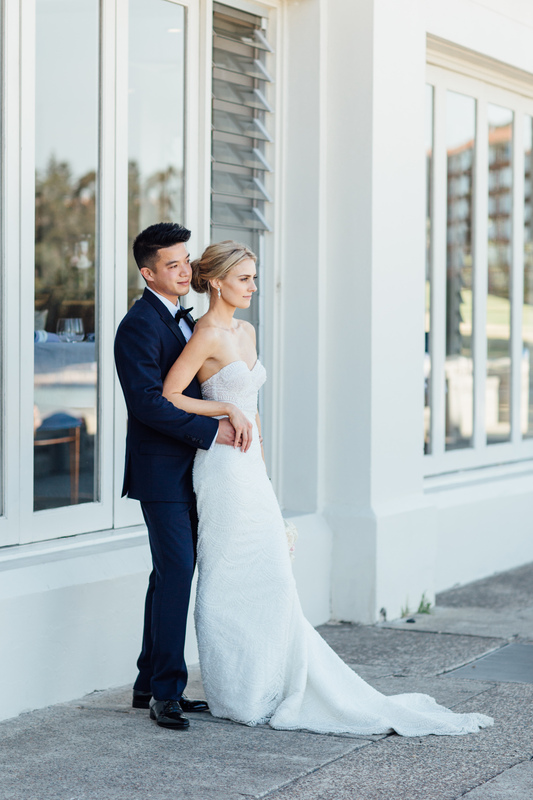 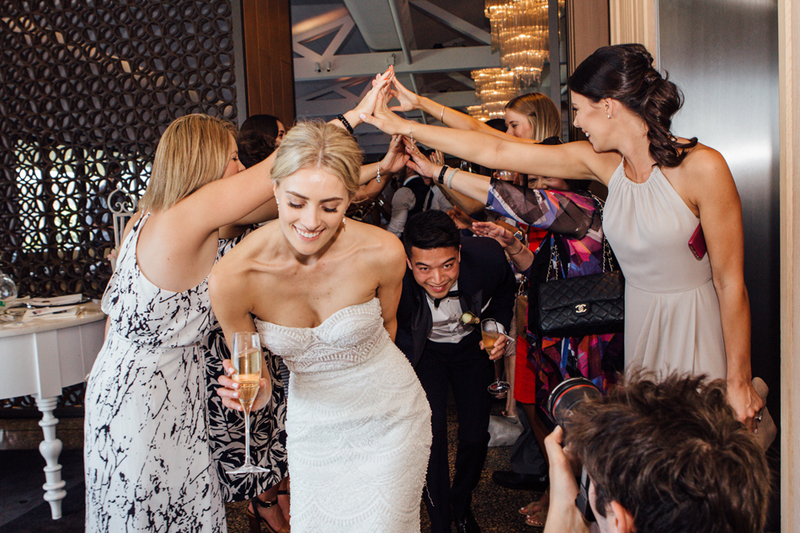 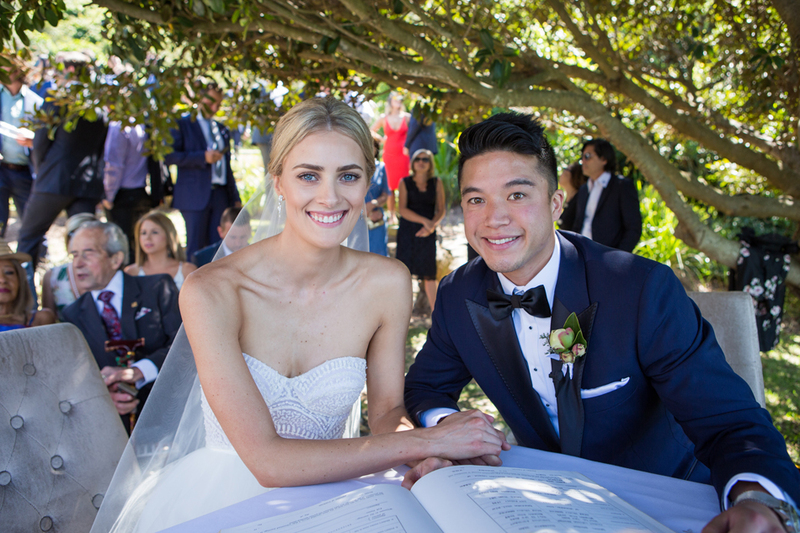 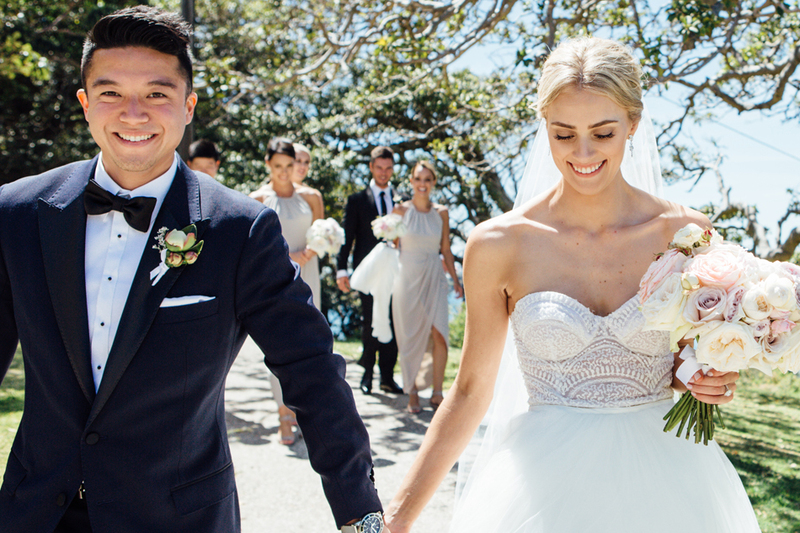 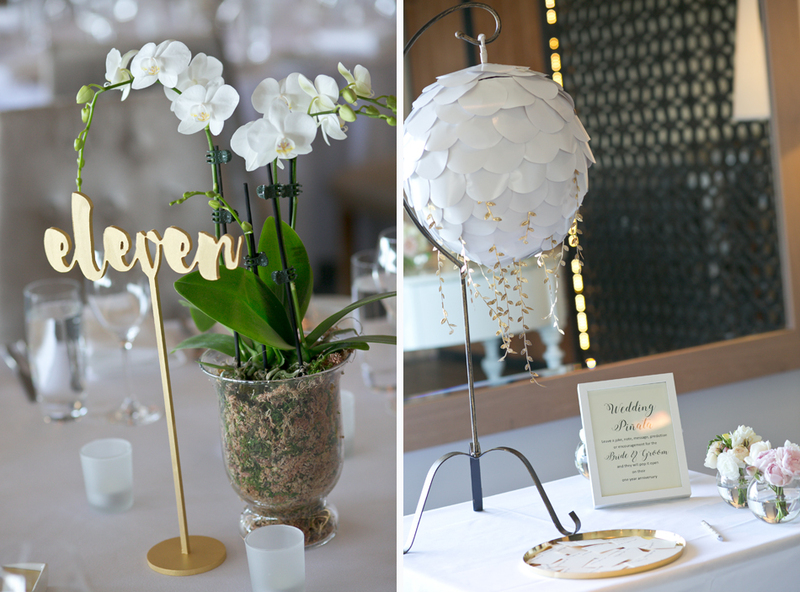 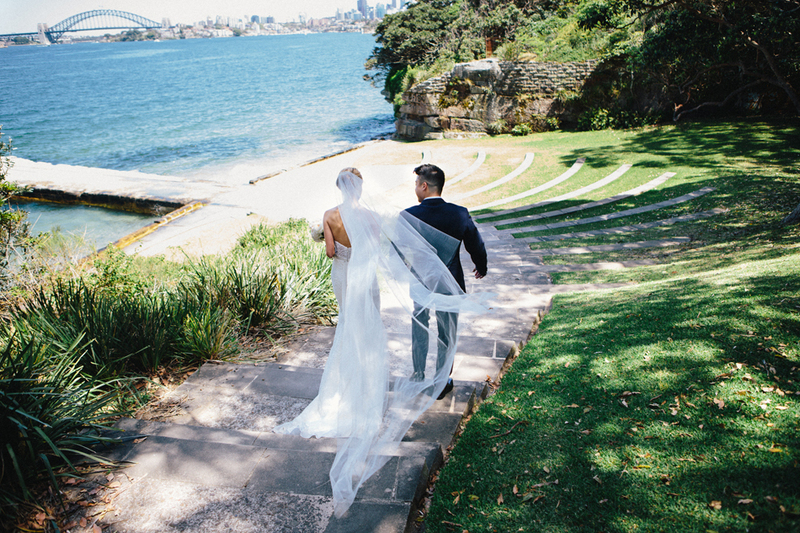 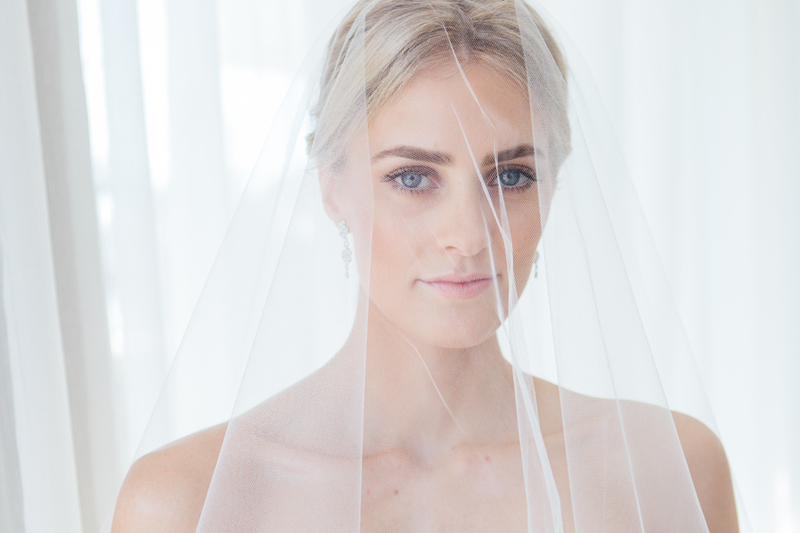 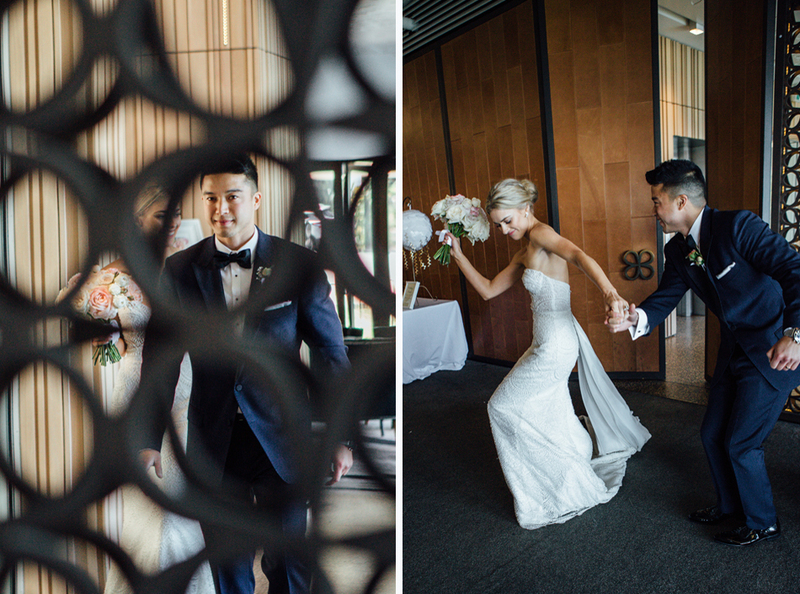 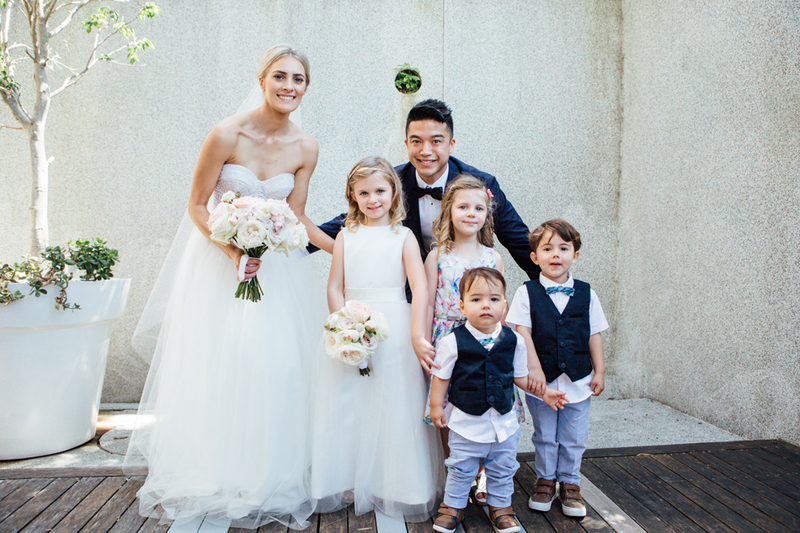 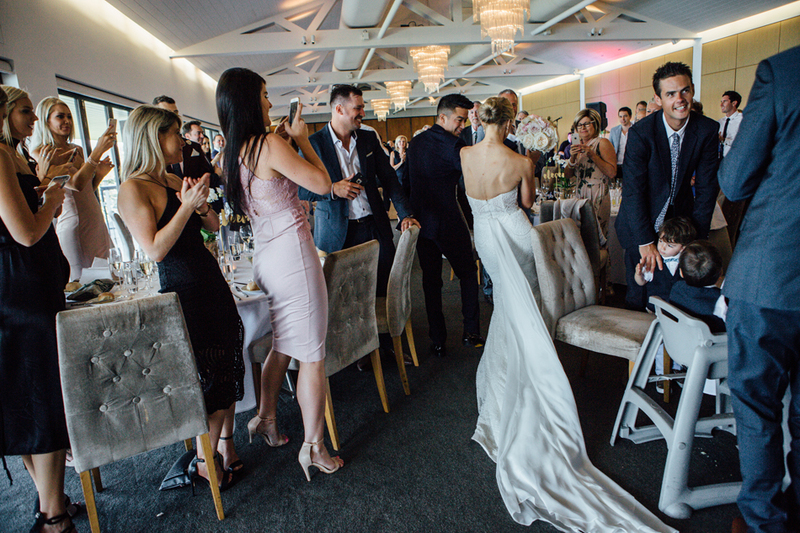 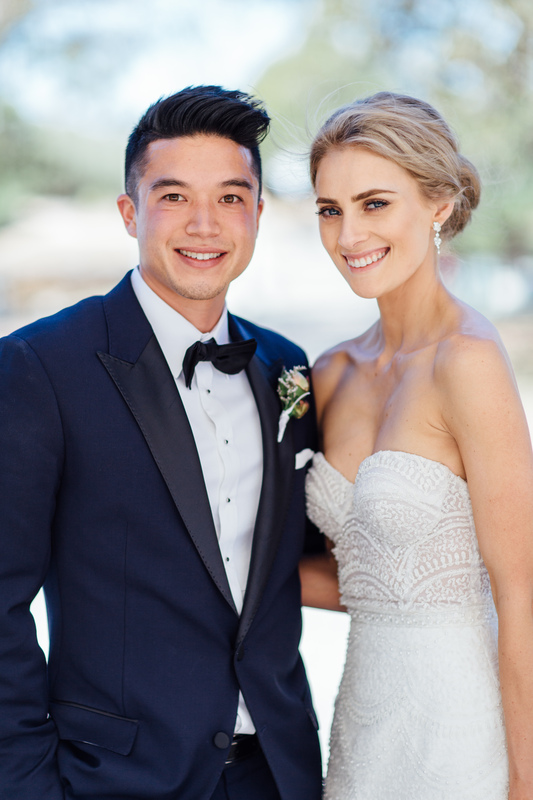 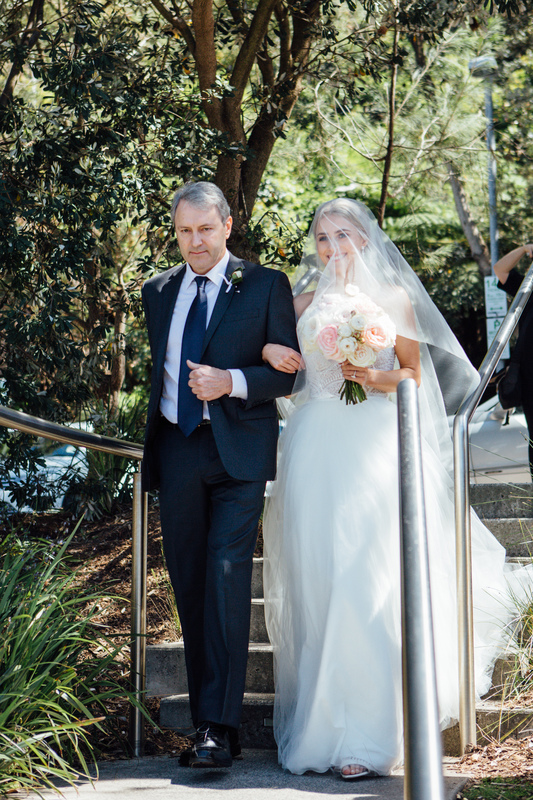 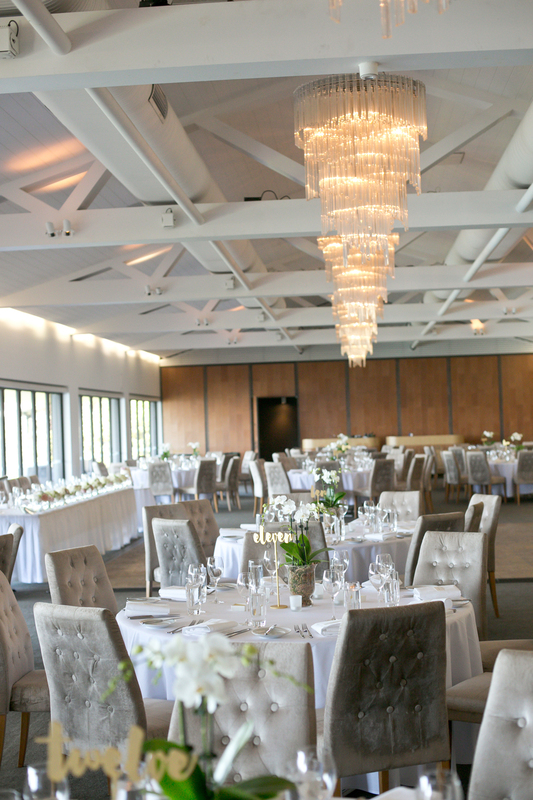 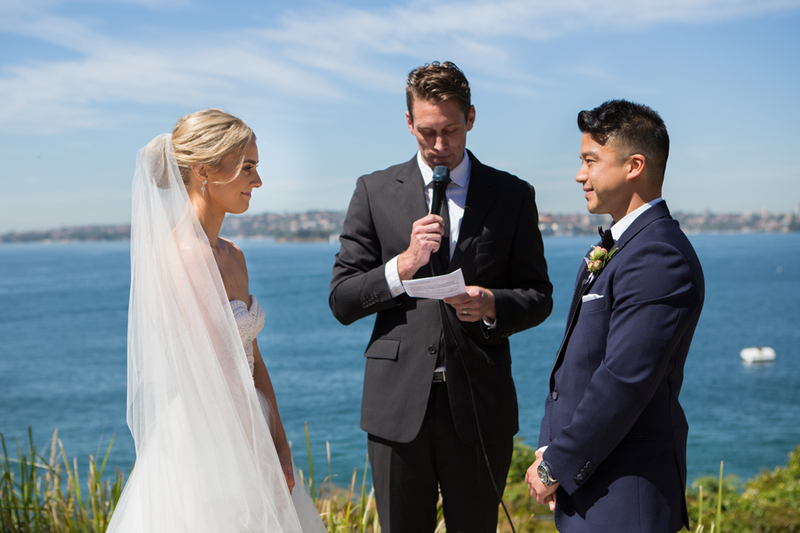 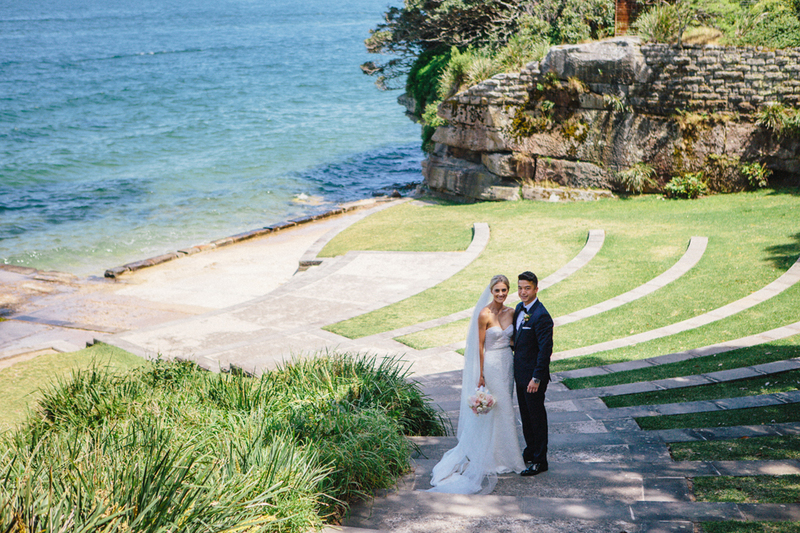 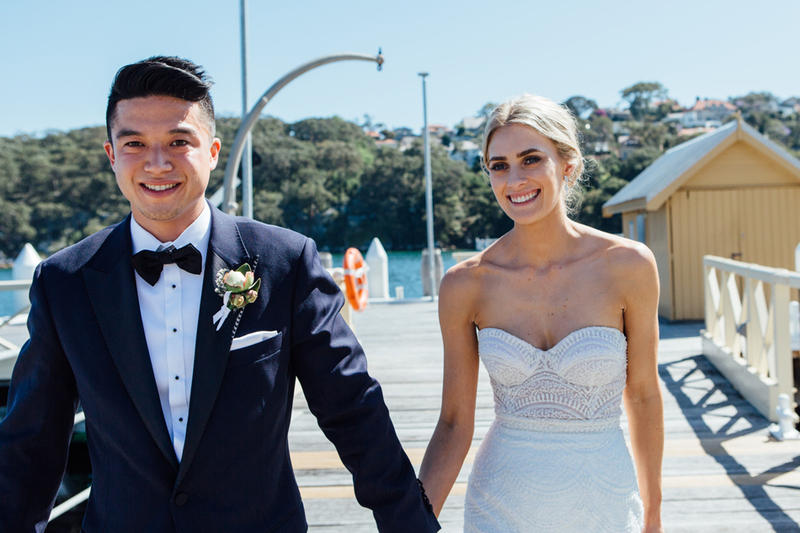 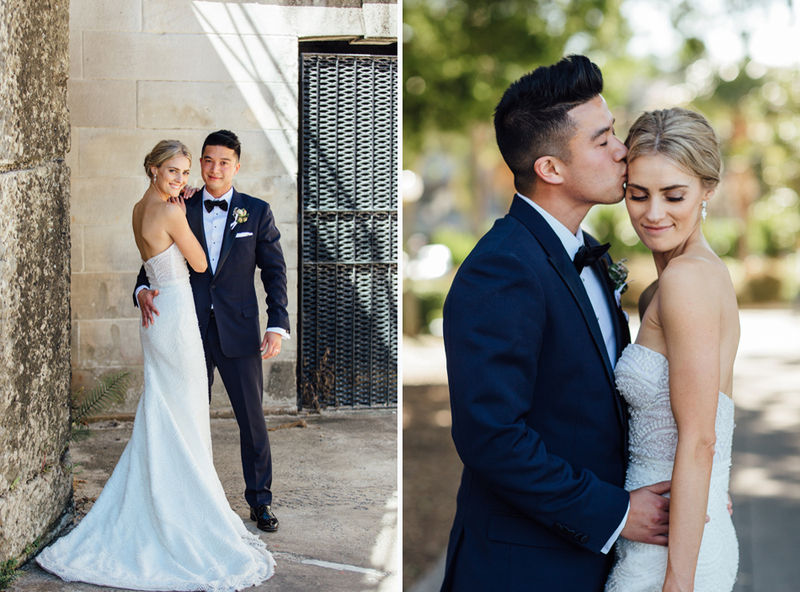 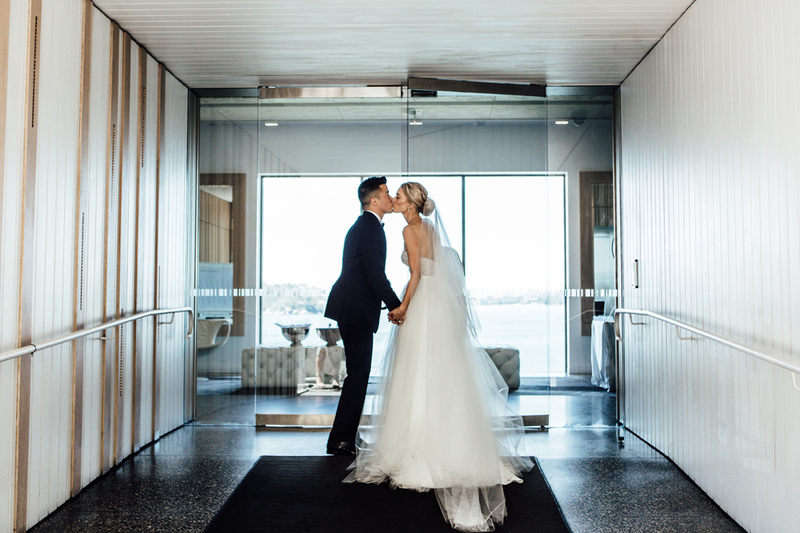 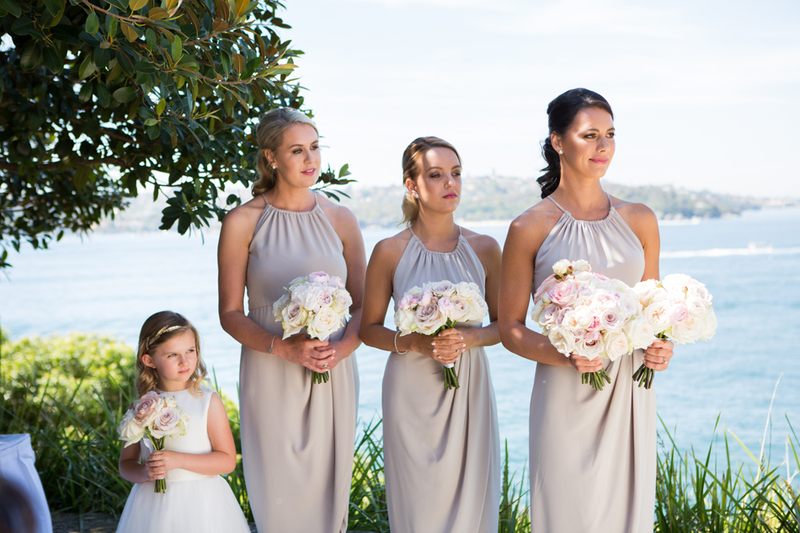 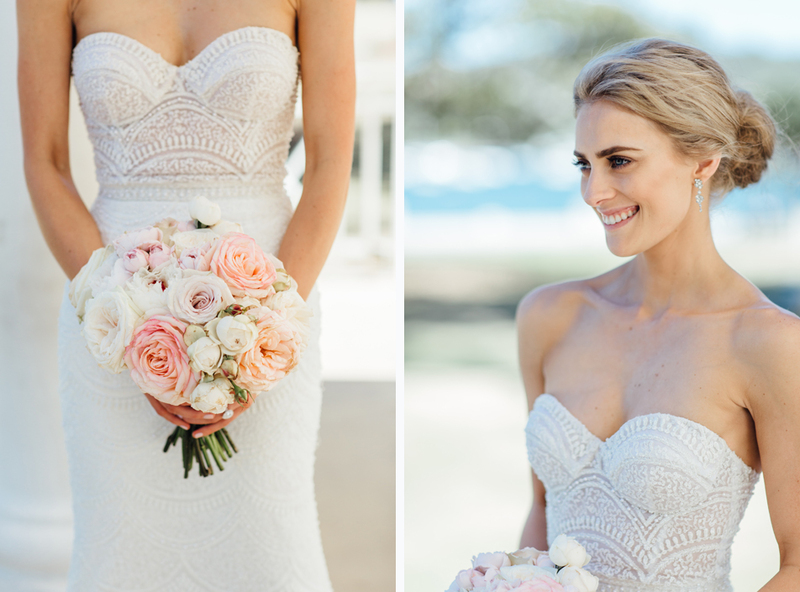 An elegant ceremony by the harbour in Mosman at Sergeants Mess followed by an equally elegant reception was the dream wedding day chosen by Elizabeth & Daniel. 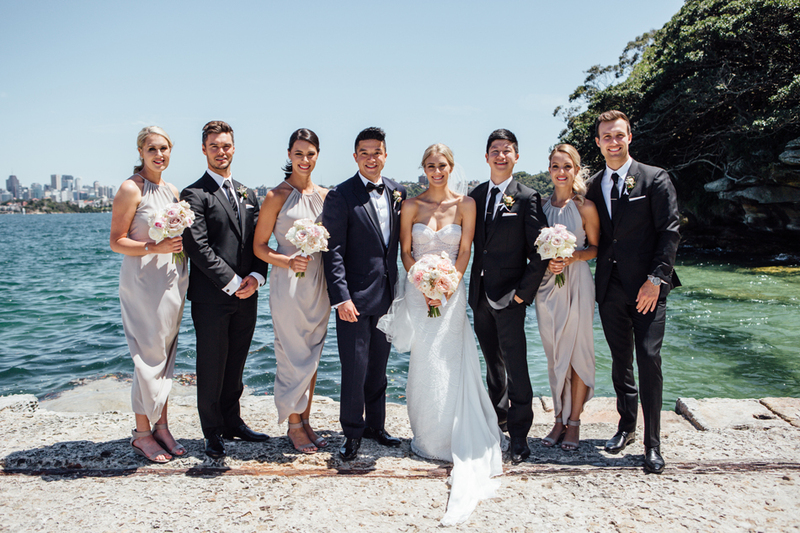 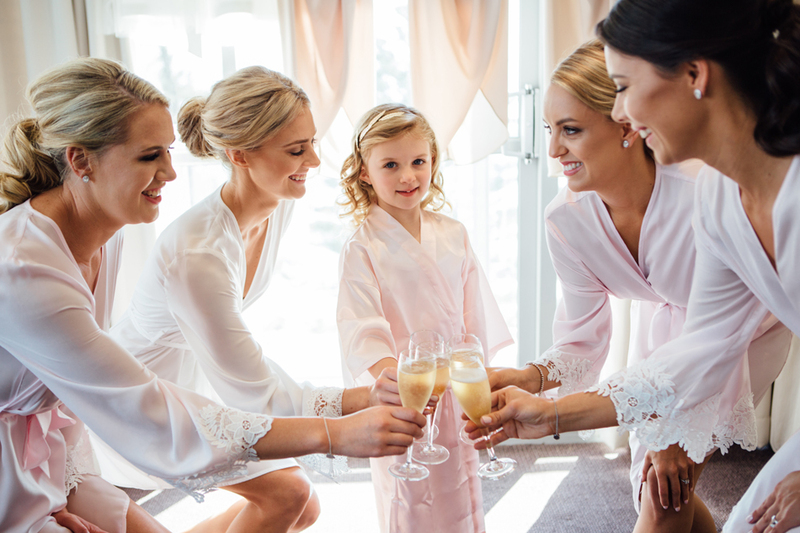 Their day truly was pretty as a picture with gold and pale pink accents, a bridal party that could easily have walked off the catwalk in Milan in their stunning attire and a bride & groom who looked simply stunning in every frame. 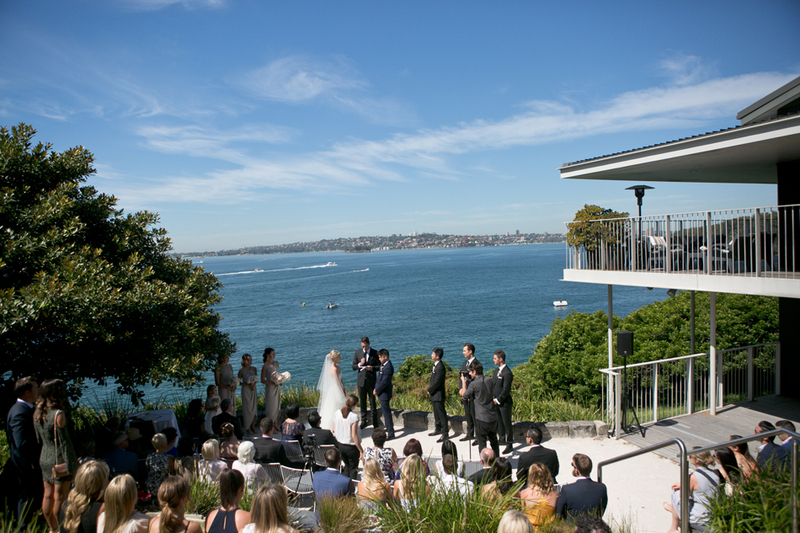 The picturesque harbour views were highlighted by their choice for a daytime lunch event and we were incredibly lucky to have an extensive opportunity for various locations due to the available light on the day. 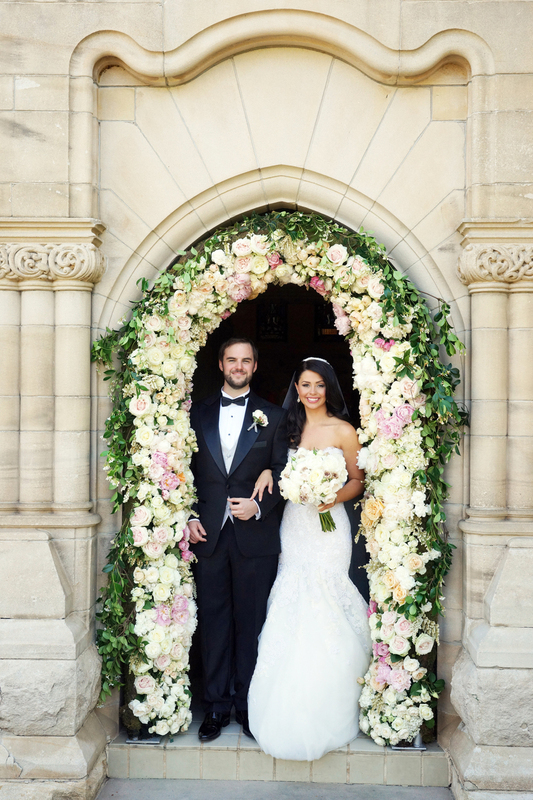 The florals by Matt Bisaro, wedding cake by Elsa Met Petal and music by Ruby Keys Band were all highlights. 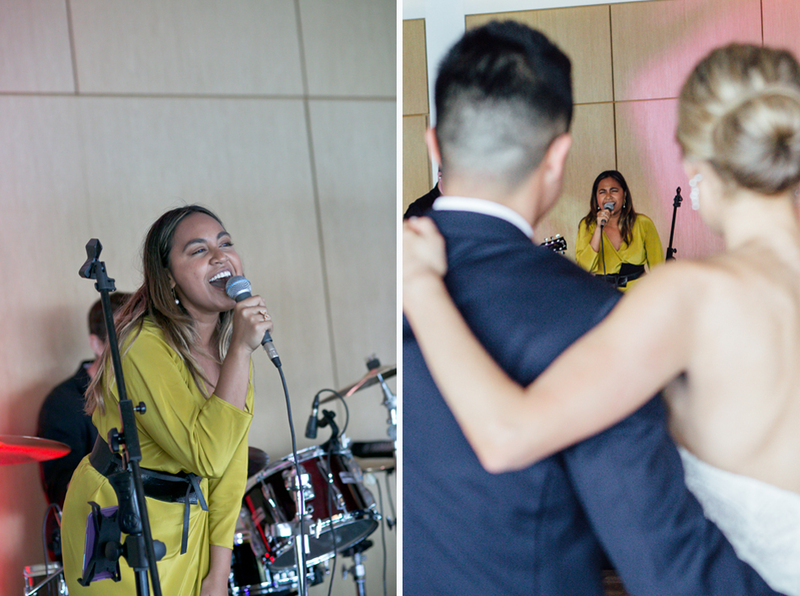 The biggest one – a surprise performance by good friend & award-winning singer, Jess Mauboy who took to the stage to serenade the couple. 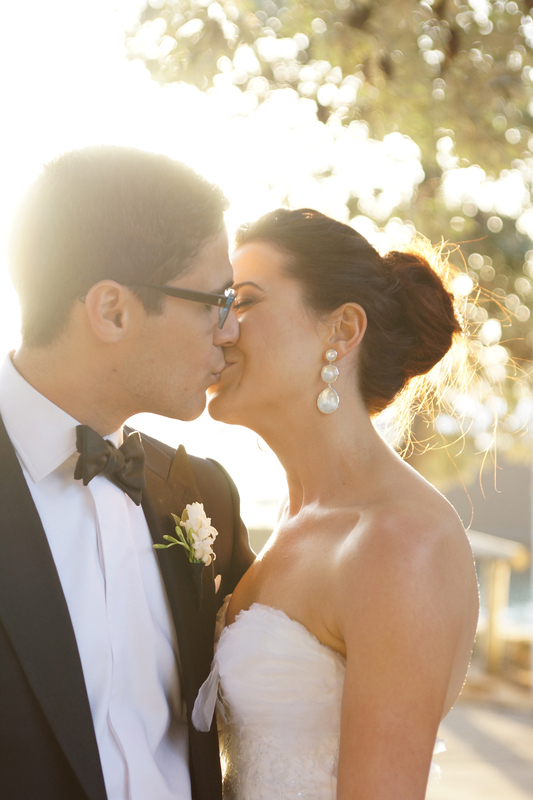 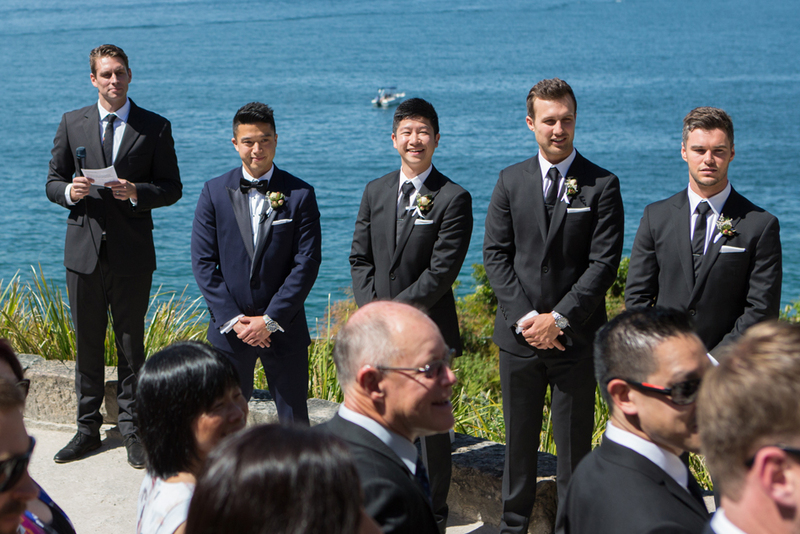 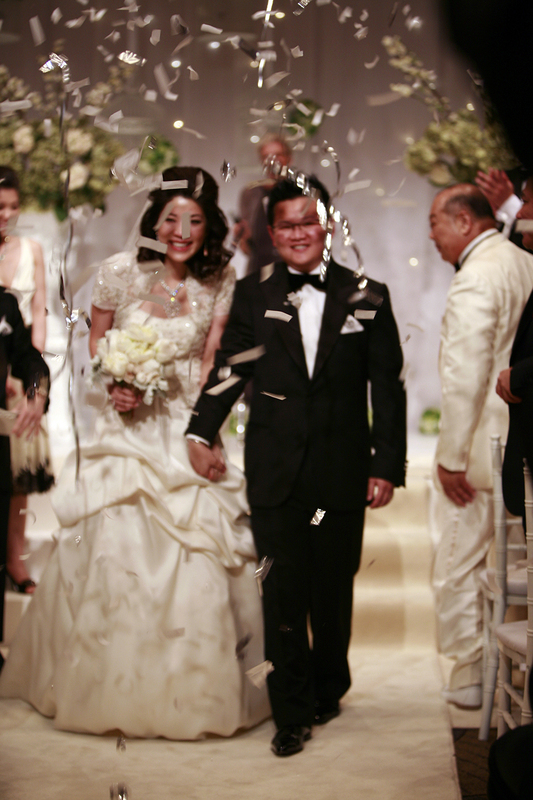 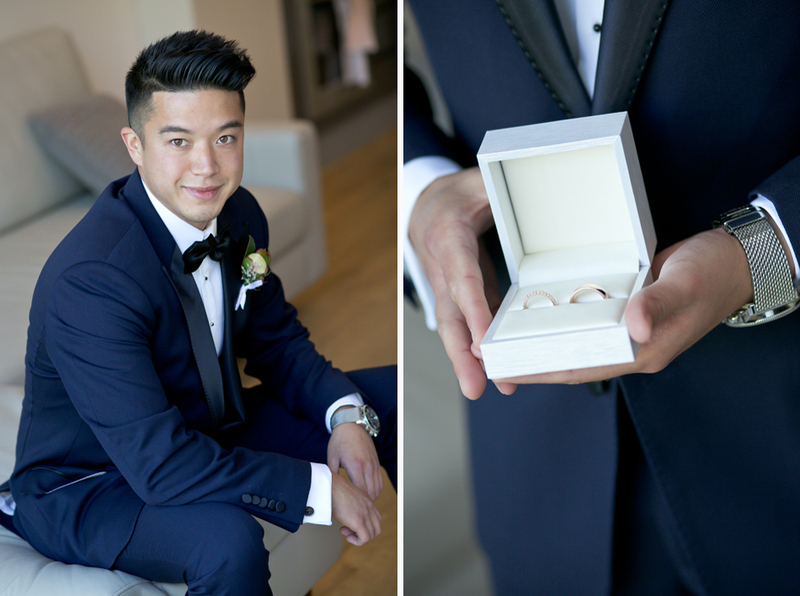 Timeless elegance and heartfelt sincerity were the highlights of our photos on this beautiful day.